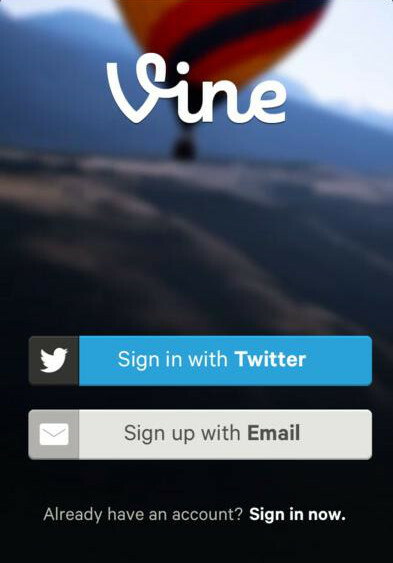 Twitter released an app called, “Vine” in the past month as a foot in the door for social video sharing. You get 6-seconds (because our attention spans can’t stand much more) to relay a primitive looking message to your Twitter and Facebook fans. I took part of an afternoon and played with Vine and was pretty pleased with how incredibly fast it was to make a video using nothing more than my iPhone. Making a video didn’t take long at all – hardest party is coming up with a creative idea. It was only 6 seconds long. 6 seconds is something I could commit to without hesitation. I don’t need to take an hour out of my day to make a video that’s only 6 seconds. Lack of equipment needed. Free app and a smart phone is all you need. The greatest part about this is that you aren’t encumbered by fancy equipment AND you aren’t going to be judged for the raw”ness” of the videos. FACT: my video looked just as high-quality as the Malibu Rum Vine video. Multi-tasking friendly. I often have the attention span of a small child. This is partly my fault (I’ll admit it) but much of it stems from juggling multiple projects and also serving a support role in my job (which means that I am glued to my inbox and phone.) So, for me, being able to put down the app in the middle of a shot and answer an urgent email and talk to my boss was perfect. Perhaps it was my phone (using an iPhone 4) but I couldn’t preview my videos before posting them. You are supposed to be able to but mine would come up with a blank screen. They did publish normal however. Wondering if this kink has gotten worked out by now? Not many editing features. Ok, I realize that editing 6 seconds of footage sounds ridiculous but it would have been nice to take out a second or make 1 second, 2 seconds rather than reshoot everything. Along the same lines as above, in order to record your finger has to be touching the screen and this little green bar fills as you take up more time. For stop-action videos, it would have been nice to see second increments on that green bar so I knew how to divy up my footage in a more logical way. Need a crash course on how to use Vine? It’s simple! The welcome screen for the Vine iPhone app. 1. Download and install the Vine app from iTunes for your iPhone, iPod Touch or iPad. 5. Click the video camera icon to start recording videos. Tap your finger on the screen to record and release to stop recording. 6. When you’re finished, click Continue to share your video on Vine, Twitter and Facebook.